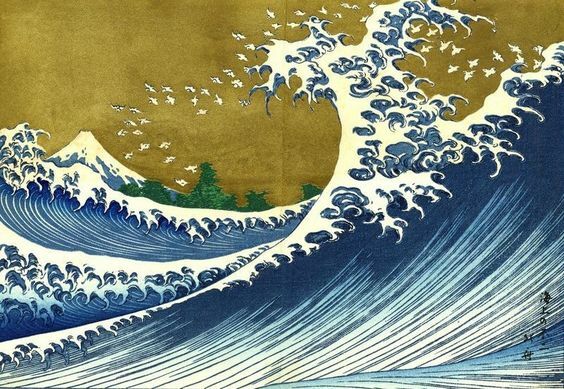 Sometimes when looking at some piece of reality, puzzling choices have to be made when describing it as “one,” as “many” or perhaps as neither “one” nor “many.” Three woodblock prints of the artist Hokusai can illustrate the issue. Let us start with print one. 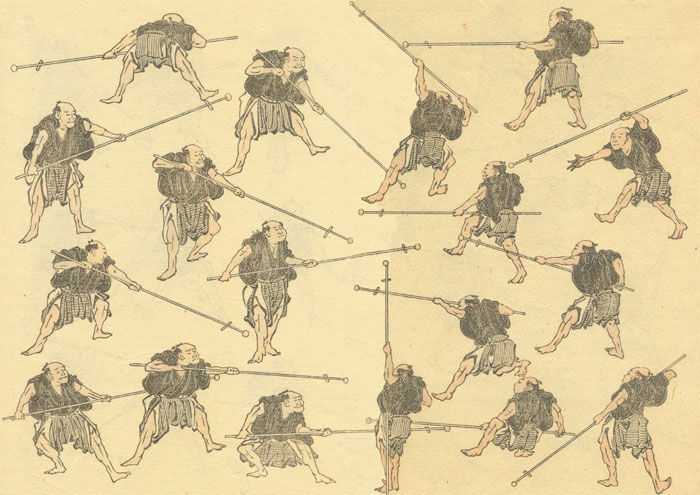 Does this print represent seventeen things, seventeen men fighting, or does it represent a collection of men doing to, and thus in a way one thing, a collection, or does it represent eighteen things, the seventeen fighters and the individual men? None of the three options seems wrong, even if there is a preference for the first. What then does this mean? Are there three realities represented at once? Or is the collection in fact nothing beyond and above the two individual fighters, so that when we speak of the collection we don’t speak of another thing distinct from the seventeen fighters, rather we speak about nothing but he fighters. But then why do we seem to count it as something separate from the individual fighters? Or could we view a collection as many, rather than as one, as ‘the fighters’. Now let’s look at the second Hokusai print. Here we see three couples fighting with each other – or do we see just six fighters, each one engaged with fighting with one other fighter? Does this print represent three things, three couples of two fighters fighting with each other or does it represent six things, the individual fighters, though engaging with one another in a particular way? Or else does it represent the six individual fighters as well as three collections? Would that mean it represents nine things, the individual fighters and the three collections? Or is a couple of fighters nothing but the two fighters, and thus “two” rather than “one” — a collection “as two”? In that case the print would just represent six things, though divided into collections of two. In addition, the print could be described as representing a collection consisting of three things: three couples of fighters, and thus a collection of collections. Again the question arises, do these descriptions represent the very same reality or is there a difference in what the person describing is willing to accept as what is really represented, whether or not there really are such things as those collections? And why are there, as it seems just those descriptions available and not others. Couldn’t there be a third one, according to which the print represents a collection of fighters consisting in 12 single groups, each consisting of any one fighter fighting with some other fighter represented in the print. Somehow that description is hardly available, and the reason, it seems, is that only a couple of fighters fighting with each other (and no one else) should play a role. Finally, let’s us look at the third print “mountain and waves.” What do we see here? We would say definitely one mountain, Mount Fuji. We also see birds. Now are these individual birds or a single swarm of birds? Or are these “birds in a swarm” and thus just birds without there being an additional thing that is a swarm? Furthermore, we see four waves. Or do we see just one sea, shaped into waves? Or do we see just water? Moreover, what sort of thing is water? “The water we see” is not one: we would not regard it as one thing, and we could not say “the one water we see” (but at best “the one quantity of water we see”). “The water we see” moreover is not many. We could not possible regard it as many things, and we could not say “many water,” but at best “many quantities of water” or “many drops of water.” But then the water that is represented would be neither one nor many. Why do we like to see one mountain, many birds, and four waves or else just water? Again we could imagine other descriptions (“several mountain parts” “several bird groups” “a single four wave-group”), but we resist applying them, and yet we would not be strictly wrong describing things in those other ways. What then makes us prefer one such description over another? That is, what makes us see something as one, as many, or as neither one nor many? Or should we say, what makes something be one, many, or neither one nor many? Featured image credit: “Hokusai Boats & Moon” published by Yohachi, c. 1833. Public Domain via Wikimedia Commons. Friederike Moltmann is research director at the Centre National de la Recherche Scientifique (CNRS) in France and senior visiting fellow in the philosophy department at New York University. Her research is in philosophy and linguistic semantics and especially the interface between the two. She is author of Parts and Wholes in Semantics (OUP, 1997) and Abstract Objects and the Semantics of Natural Language (OUP 2013). Massimiliano Carrara is Associate professor of Logic and Philosophy of Language at the University of Padua (Italy). He is also Principal investigator of the COGITO Research Center in Philosophy, University of Bologna. His main research interests are in logic, philosophy of logic, applied logic, and metaphysics. “What makes us see something as one, as many, or as neither one nor many?” The answer depends on two things: the amount of information available to us and the explanatory context. 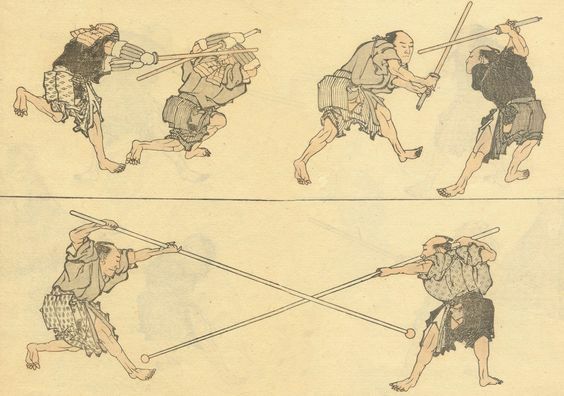 when looking at Hokusai’s image #18, we could initially say it is a bunch of fighting men. Then, as we examine closer, we may say the man with the beard is fighting with the one with the crooked eye. Secondly, depending on the context we may prefer to call them a bunch of men instead of identifying as individuals – for instance, when we say it is picture explaining martial art. Or, in a different context, we could claim that Hokusai used my great-grandfather as a model for drawing the pictures on the right. 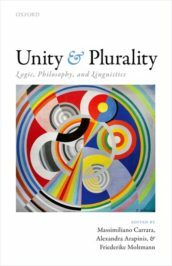 Hence, we need – and use – both the singularist and pluralist approach when try to make sense of reality.